It takes a different cut of athlete to stand between the posts. One that's willing to make themselves the unsung hero of every victory and take a personal knock with every loss. Goalkeepers are a class of their own, as such they need a variety of gear for every type of game situation. 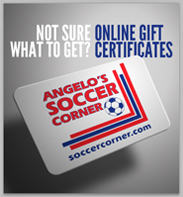 At soccercorner.com our goal is to save keepers time from having to hunt down gear. We stock all the best gloves for kids to adults to you can keep your mind on the game and off your gloves. We've also brought in gear from the protection specialists Storelli to ensure you don't miss out on a game due to injury. The dominant glove on our shelves and for good reason, Reusch makes goalkeeper gloves for any kind of playing surface and condition. From the Re:Pulse Prime R2's for all your rolled-palm athletic turf needs to RE:PUlse Deluxe G2 Ortho-tec segmented palms for maximum protection and Reusch's one-of-a-kind removable ortho-tec spines for a completely custom fit to meet the demands of the game's elite keepers. Re:Ceptors, Re:pulses, and Wanorani's of every style and colorway are waiting to make sure game day is never out of your hands again. One of the originals in the goalkeeper glove field the ACE Pro is one of the best selling gloves of all time and we carry it in nearly every color and size. From the Classic line, to the Ultimate Finger Save Adidas is worn and trusted by some of the greatest keepers in the game including Manuel Neuer and Iker Casillas. The Fingersave goals provide extra spines to protect your fingers from sprain while the Pro Zones feature softer fingertips for an added grip on the ball. Nike has released four different styles of glove since joining the keeper gear market, and the good news is that we carry all of them. From the Nike Confidence with their patented finger protection technology and the Nike Spyne Pro for the most fundamental of goalie needs. Nike isn't slowing down so the time to break in a new favorite pair of gloves from one of the largest athletic manufacturerers in the world is now. Puma entered the glove game with one goal: giving goalkeepers the best in terms of a lightweight speed glove and the best in terms of a padded protection based glove. That brought along the advent of the the Puma EvoSpeed 1.4, one of the most sleek keepers glove designs available on the market today. Built with 4mm elite grip latex and speed frame reinforcement, the Puma EvoSpeed gloves are for goalies that know the game is decided in seconds and saves. The Puma EvoPowers are meant to provide your hands with the protection needed to get in the middle of corners and punch the ball away to safety. FlexTec Finger support spines prevent the hyperextension of fingers while allowing your hand full range of motion and flexibility. A trusted brand of goalkeepers the world over we had to save some shelf space for Ulhsport. Their line of Eliminator gloves with absolutgrip technology make these a standard pair to find in every keeper's bag. We believe we're the best supplier of goalkeeper gear around and we think if you look through our inventory you'll have to agree. 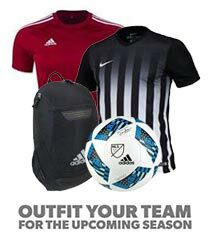 Some retailers neglect the their keeper inventory, but here at soccercorner.com we know how important a properly equipped goalkeeper is to the team.